For me, there is almost nothing quite as comforting as a hot cup of tea. I love the way the mug warms my hands, as the aroma of the steeping tea leaves and herbs waft through the air. Tea relaxes the spirit and beckons you to slow down. You can’t chug a cup of tea….You sip….savor….enjoying a moment or two of your life.There’s just something special about choosing a funky mug from the cupboard, waiting for the whistle of the tea-kettle, and sitting down to a cup of hot tea….It’s one of life’s simple pleasures. My aunt introduced me to tea when I was about 7 years old, and I’ve been hooked ever since.The start of the fall season has me more frequently starting the kettle rather than my iced tea maker, and today I wanted to share a few of my favorite brands/varieties with you. *I am not a tea guru or expert! These are all reasonably priced teas that the average shopper could easily obtain and afford. Let’s hear it for a tea from my home state of Washington!! Market Spice can be traced back to Seattle’s Pike Place Market since 1921! This black tea flavored with cinnamon and orange is AMAZING. This tea needs no sugar and smells like a cup of fall. Trust me on this one…you’ll love it! I love Good Earth’s Original Sweet and Spicy tea. 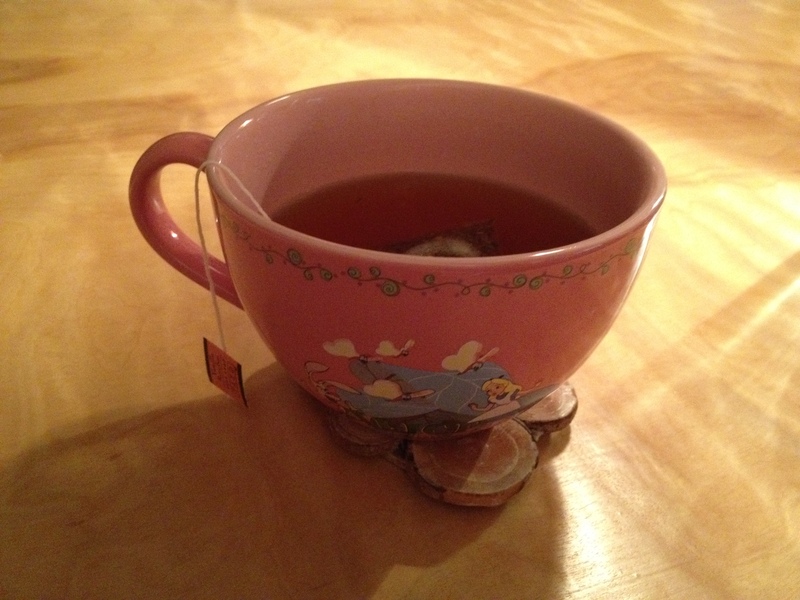 This is another cinnamon and orange flavored tea, but has more of a “kick” than Market Spice. It’s robust and rich, and also makes a killer iced tea! Keep coming back every day during the month of October for fun family activities, fall food, and lots of crafts and learning activities to do with your kids!